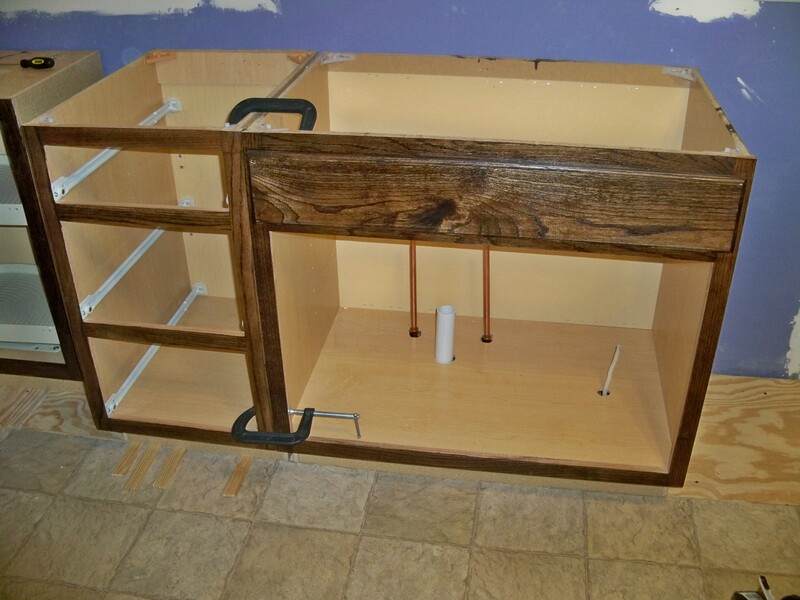 New Lower Cabinets and a Christmas Miracle – Nutrition.Health.Life. After an eventful day of fixing the leaking sewer gas mess in the wall, we put up a new mold and mildew resistant sheet of drywall. We also laid down some subflooring to level the cabinet floor with the rest of the kitchen. This was finished around 7pm; we really, REALLY wanted to get the cabinets in before bed, so we decided to pull another late night and try to get them in. 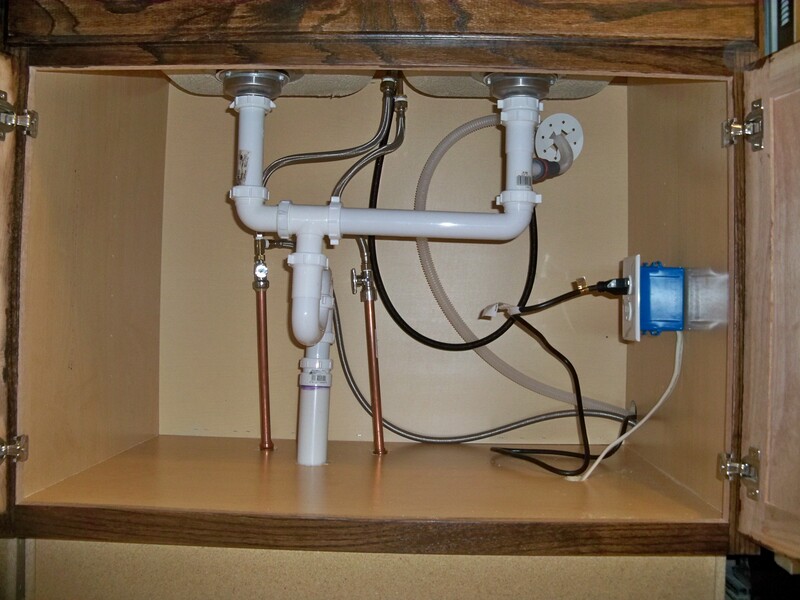 We were most nervous about measuring the holes for the plumbing to accurately run through the bottom of the sink cabinet; Thankfully this went extremely smoothly and we had the cabinets level and installed by midnight. 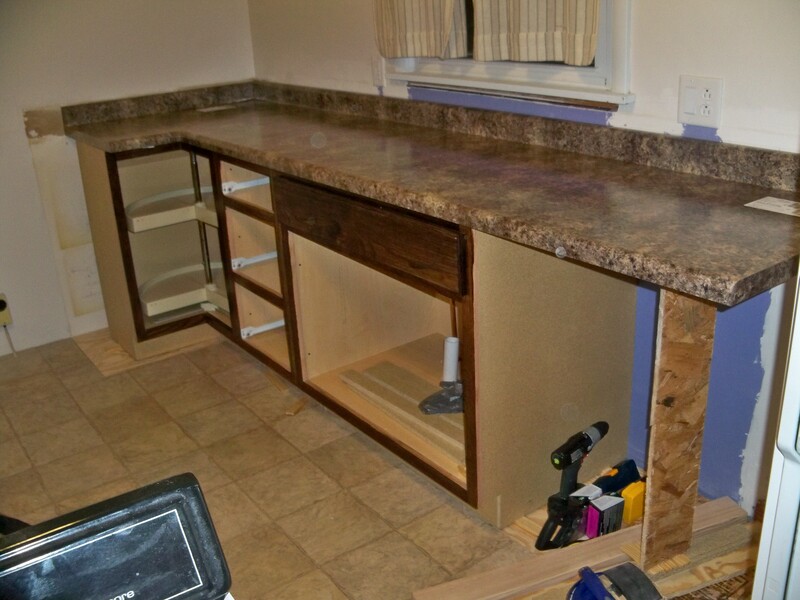 We decided to put the countertop down to get an idea of how the finished product might look. 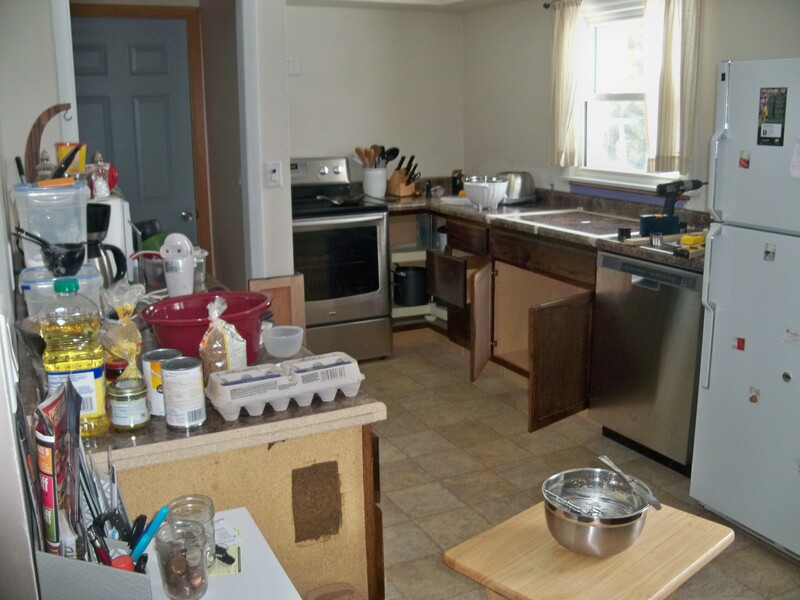 The appliances were coming in the morning and I could hardly sleep with all of the anticipation to possibly finish the project before our Monday deadline. debate we decided to tweak a few things. Somehow, we arranged it so the stove can just barely slide in and the door can just barely open without scraping the adjacent wall. It was a Christmas miracle 😉 By the end of the night we had the cabinets and appliances in place and the countertop installed. J went to bed around 12:30pm but I stayed up until 2:30am putting things away so we could be ready to finish things off Monday before our Christmas Eve dinner at 6:30pm. 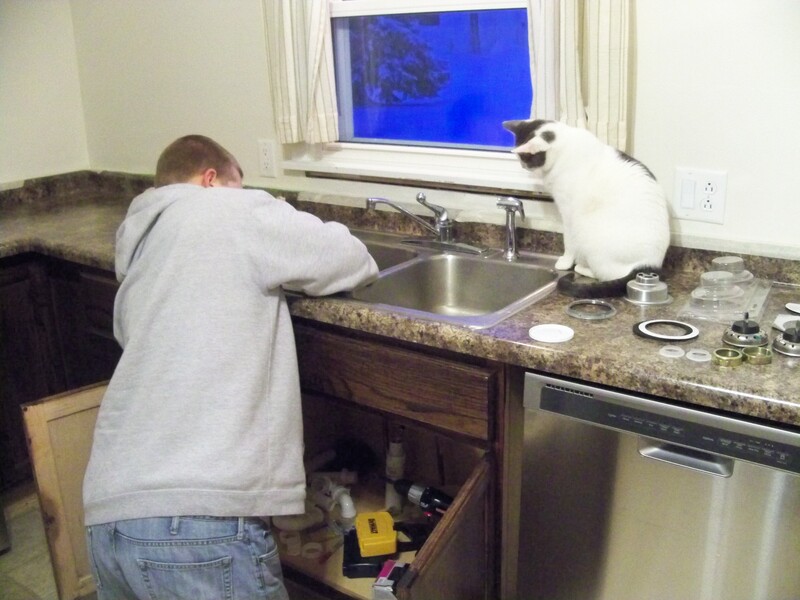 Sunday morning was supposed to be a quick sink install so I could get things started for the party. 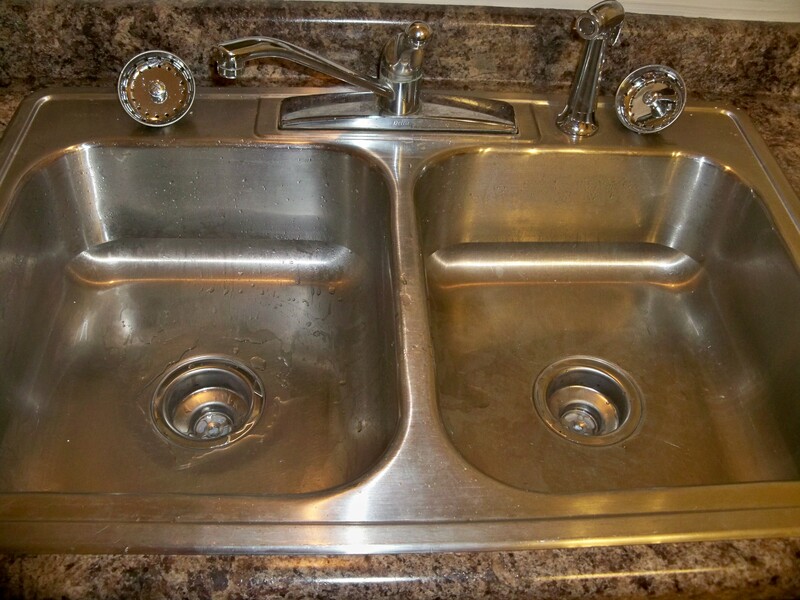 By noon, we still didn’t have running water in the kitchen. 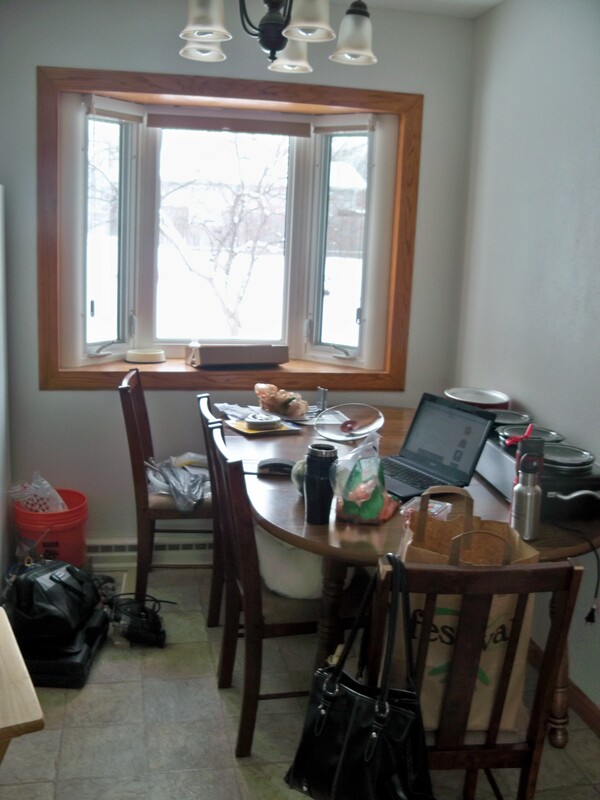 Thankfully we had a working stove and a number of high quality crock pots. As you can see, things were a bit of a mess.